Brendan Cowell, who appeared in the seventh season of HBO's Game of Thrones, has joined the franchise. Cowell will be playing Mick Scoresby, who captains a private-sector marine hunting vessel on the planet of Pandora. EXCLUSIVE: Giovanni Ribisi is set for all four of James Cameron’s upcoming Avatar sequels from 20th Century Fox. The actor will reprise his role as Parker Selfridge, the head administrator of RDA, from the 2009 film. Production for the follow-ups officially began on September 25 in Manhattan Beach, CA. It is said to be the most expensive shoot of its kind, at an estimated collective budget expected to top $1 billion. EXCLUSIVE: Kate Winslet and James Cameron have a little history. Two decades ago she starred in his global juggernaut Titanic, which was the top-grossing film of all time until Cameron’s Avatar came along in 2009. Now the two are reuniting for the first time since the Big Boat sailed: Winslet has signed on for a starring role in the ongoing Avatar adventure. It is unclear how many of the four planned sequels to Cameron's 2009 film Winslet will appear in. Cameron is currently filming Avatar 2 and 3 concurrently. He plans to shoot 4 and 5 to be simultaneously soon after. The young actors playing Sully’s family are revealed here for the first time, along with the children from another Na’vi clan, called the Metkayina, who dwell on giant oceanic atoll reefs under the rule of a leader named Tonowari (Cliff Curtis of Fear the Walking Dead). Of course, in the above photo, you’ll have to use your imagination a bit to picture the cast in CG character as lanky blue cat-eyed Na’vi. That is, with one exception — Javier “Spider” Socorro (played by 12-year-old Jack Champion, who’s standing on the right in a blue shirt in the above photo). Spider is a human teenager born at the Hell’s Gate military complex, a crucial location in the first film. EXCLUSIVE: Matt Gerald has officially signed on to 20th Century Fox’s James Cameron Avatar sequels and will reprise his role as Corporal Lyle Wainfleet. CCH Pounder is set to return to the world of Avatar, signing on to reprise her role in the four sequels. Pounder played Omatikaya Clan spiritual leader Moat in the Na’vi world, which was attacked in the original movie. The plot of the four sequels coming in 2020, 2021, 2024 and 2025 are being kept under wraps but all the films will be set on the Na’vi’s planet of Pandora. Ascending the stage during 20th Century Fox’s presentation at CineEurope this evening, Lightstorm Entertainment’s Jon Landau offered an update on the four upcoming Avatar sequels. Production on the James Cameron-directed pics, which will be standalones, but together form “an epic saga,” officially begins September 25 with performance capture, Landau told the assembled exhibitors in Barcelona. Game of Thrones actress Oona Chaplin is heading to Pandora. Though plot is being kept under wraps, Chaplin will play Varang, a strong and vibrant central character who spans the entire saga of the sequels. Cameron said that each of the four sequels will be able to stand alone, but will together create a saga. EXCLUSIVE: Joel David Moore has officially signed on to reprise his role as scientist Norm Spellman in Fox’s upcoming Avatar sequels. Deadline has confirmed that Fear the Walking Dead New Zealand actor Cliff Curtis is boarding all four of James Cameron’s upcoming Avatar sequels in a lead role. Curtis will play Tonowari, who is the leader of the Metkayina, the reef people clan (Cameron has said in interviews that the Avatar world in future installments will take place underwater). Curtis joins returning cast members Zoe Saldana, Sam Worthington and Sigourney Weaver. Production begins at Wellington’s Stone Street Studios next year. “Well, 2018 is not happening,” Cameron told The Toronto Star, adding that a replacement date has not been set. The delay marks the third postponement of the the much-anticipated sequel, which initially was set for a December 2014 release. “What people have to understand is that this is a cadence of releases,” Cameron said. “So, we’re not making Avatar 2, we’re making Avatar 2, 3, 4 and 5.” The last three films in the series were scheduled for 2020, 2022 and 2023 releases; Cameron did not say whether those films would now be delayed. “Avatar 2,” the first of three sequels to director James Cameron‘s 2009 3D sci-fi blockbuster, will not be ready in time for its planned Christmas 2017 release via Twentieth Century Fox. The studio on Thursday declined comment on the delay, which individuals with knowledge of the situation confirmed. There is no new release date set for the movie, or word on the two other sequels, which Fox had planned to release in the same holiday corridor in 2018 and 2019. It’s the second delay for “Avatar 2,” which Fox had originally planned to release by Christmas of this year. Cameron intends to shoot all three films in the trilogy at the same time in New Zealand, with Cameron and Jon Landau producing through Lightstorm Entertainment. Soundstage construction and some computer animation work is in the early stages, but a start date for filming has not been set. James Cameron is back to talking about Avatar, and is sticking to his guns this time around. While the first sequel to the film, which doesn't have an official title yet, was originally planned for as many as three years ago, Cameron insists it'll be out next year. "Christmas of 2017 is the target [release date]. At least, that's what we've announced," he told the Montreal Gazette. It's not exactly a firm release date, then, as he cautions about it in literally his next sentence, and no production/distribution schedule has actually been set. In fact, the script isn't even written yet, let alone casting or other pre-production elements. "The writing is ongoing, but almost finished," Cameron said. There are elements that have moved along a bit further, though. "We have design more or less finished. All the creatures and the landscapes, and the worlds within the world of Pandora that you see. Technical development is done. Stages are done. Infrastructure." In light of James Horner's passing on Monday, ET is taking a look back at the Titanic composer's life and work, including the iconic love theme "My Heart Will Go On." Horner was reportedly committed to composing for the next three Avatar films. Cameron and producing partner Jon Landau released a joint statement honoring their colleague, saying, "James's music affected the heart because his heart was so big, it infused every cue with deep emotional resonance, whether soaring in majesty through the floating mountains, or crying for the loss of nature's innocence under bulldozer treads." Moviegoers will get a chance to revisit Pandora, it just will take a little while longer to get there. 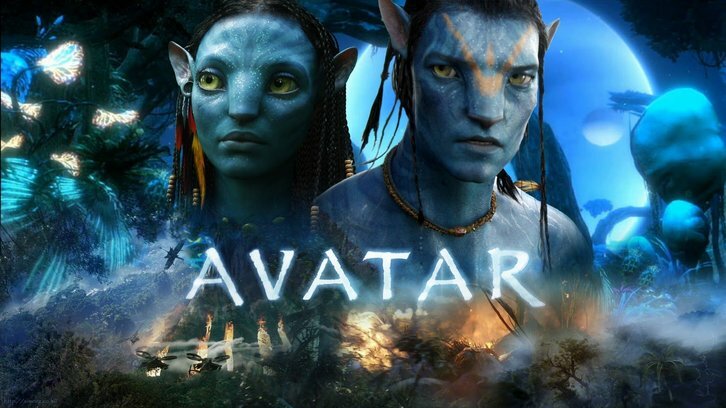 The sequel to “Avatar” was originally slated to come out in 2016, but director James Cameron said in January that it will now come out a year later than expected. “Jim Cameron has his own pace,” 20th Century Fox chairman-CEO Jim Gianopulos said Thursday at the Gabelli & Company’s Movie & Entertainment Conference in New York City. "I've divided my time over the last 16 years over deep ocean exploration and filmmaking. I've made two movies in 16 years, and I've done eight expeditions. Last year I basically completely disbanded my production company's development arm. So I'm not interested in developing anything.I'm in the "Avatar" business. Period. That's it. I'm making Avatar 2, Avatar 3, maybe Avatar 4, and I'm not going to produce other people's movies for them. I'm not interested in taking scripts. And that all sounds I suppose a little bit restricted, but the point is I think within the Avatar landscape I can say everything I need to say that I think needs to be said, in terms of the state of the world and what I think we need to be doing about it. And doing it in an entertaining way. And anything I can't say in that area, I want to say through documentaries, which I'm continuing.I've done five documentaries in the last 10 years, and I'll hopefully do a lot more. In fact, I'm doing one right now, which is on this, the DeepSea Challenge project that we just completed the first expedition. So that'll be a film that'll get made this year and come out first quarter of next year."